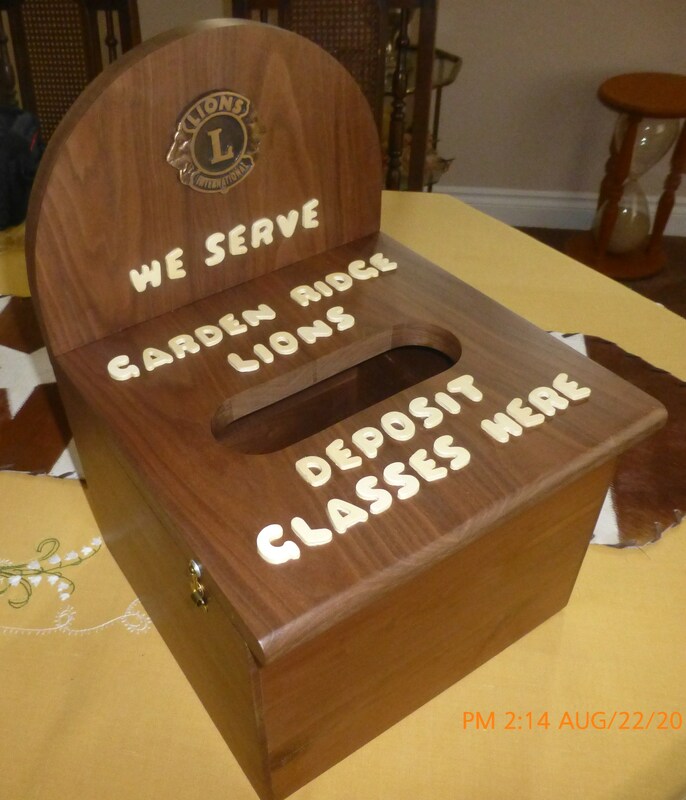 To donate used glasses (including sunglasses and reading glasses; sorry no contact lenses), place them in the specially marked Lions Recycle for Sight collection box found at the Garden Ridge Library (9400 Municipal Pkwy, Garden Ridge TX 78266). ​The World Health Organization (WHO) estimates 153 million people around the world have uncorrected refractive errors (nearsightedness, farsightedness and astigmatism). Refractive errors can be easily corrected with eyeglasses, yet millions of people in low and middle-income countries lack access to basic vision services. Without eyeglasses many people throughout the world have fewer opportunities for education, employment and a better quality of life.The Garden Ridge Lions Club would like you to donate your used eyeglasses. The glasses that we collect are shipped to the Texas Lions Eyeglass Recycling Center in Midland Texas where trained volunteers sort, clean and determine the prescription strengths of the glasses. Prepared glasses are stored in the warehouse until they are requested for distribution by Lions and other groups. Each year, the Texas Lions Eyeglass Recycling Center supplies 60-80 missions sponsored by church groups, physicians and other organizations with used eyeglasses.